There have been a number of articles recently about the rise of automation and the use of robots in our society. Even years ago, Ray Kurzweil famously used the term singularity to describe the point at which computers become as smart as human beings. 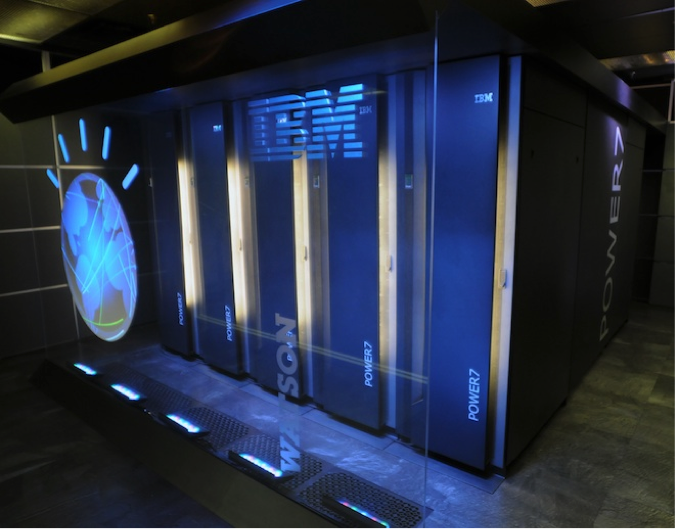 We may be getting close—Watson, the IBM supercomputer—became famous recently for trouncing the two best Jeopardy! players in recent time. More recently, a number of writers have posted that we may inadvertently be creating a world where there are very few jobs, as robots will be able to perform many of the tasks that humans now currently perform. How will this impact us here in the semiconductor industry? Let’s take a look and make a few predictions. Automation is certainly responsible for the loss of many jobs. In the automotive industry, what used to be done by humans is now performed by robots. This is true in the semiconductor industry as well; a modern 300mm wafer fab requires maybe 200–400 people to operate. In the past, high volume fabs required 1500–2000 people to run smoothly, with most of those being operators. Most wafer handling is now robotic with the use of FOUPs (Front Opening Unified Pods). We require very few operators, as most of the workers are technicians who repair and perform maintenance on the tools. The military makes increasing use of automation, with drones to launch attacks and robots to detect bombs and IEDs (improvised explosive devices). This means the military doesn’t need as large of a force in order to operate. Another area that is likely to see a dramatic increase in automation in the near future is transportation itself. Google and other research teams have developed autonomous vehicles, and these will likely take to the streets and highways in the near future. I suspect that much of the long haul trucking companies will make the switch to driverless vehicles, followed by high-end automobiles, and then mass-market vehicles. Even delivery trucks for UPS and FedEx will likely go this route eventually. Air travel will do the same as well. This will likely displace a lot of workers. Another industry likely to face this change is education, where new players use Internet technology to deliver courses more efficiently to students and workers (an area that my company is tackling). Again, the result would be fewer jobs. Health care will likely embrace automation in the years to come. As robots get smarter, they may be used in a manner that allows elderly people to stay in their houses longer. Even many general office workers in accounting, insurance, customer support, and other areas lose their jobs to smart algorithms operating on a company’s servers. Figure 1, IBM's Watson supercomputer. IEEE Spectrum recently published a podcast, "What will we do when machines do all the work?" Robots can work 24/7, don’t need a break, certainly don’t complain, don’t require health insurance, and don’t require Social Security or Medicare. This raises an interesting point, and is worth discussing as a society. There is certainly a lot of discussion in political circles about creating "jobs," but what if our work is simply eliminating jobs faster than we can create them. As you well know, the semiconductor industry is a big enabler of this automation trend. We’re not going to solve that problem in this article, but we can draw some insights about the trend and our careers in failure analysis and reliability. Automation will benefit the semiconductor industry through new chip sales. Microcontrollers, sensors, and chips to process artificial intelligence should all benefit significantly. While we certainly use a lot of equipment in the semiconductor industry, some things are more difficult to automate than others. For instance, we can automate a factory to operate with few operators, but we don’t yet have the ability to completely automate the design process or the failure analysis process. We’re certainly not going to automate the sales process anytime soon either. Some areas that are likely to see increased automation are in assembly and test. The industry currently uses significant manpower in these activities, but many of these activities could be automated with further investment. This will not likely occur overnight, but will be a trend over the next decade. What about reliability? This is a tougher call. Reliability testing, especially that done for qualification, could be automated further, but developing new tests may be more difficult to automate. While we have reliability prediction software are tools, someone needs to develop models for new failure mechanisms and refine existing models for different use conditions, or modify them as new information becomes available. Does that mean that the growth days of the semiconductor industry are over? Certainly not when it comes to number of devices shipped each year, or even total revenue per year, but what about in terms of total jobs? I believe that the new jobs will likely be at the interfaces between the semiconductor world and the real world. For instance, the industry is developing numerous types of sensors to provide us information about the environment. This is likely to be a big growth area for jobs. Witness the rise of MEMS as a discipline within the semiconductor industry. Another more significant interface is the semiconductor/biology interface. This is an area where we are likely to see many jobs arise. The challenge here is the level of knowledge required to be effective. This will require knowledge of both semiconductor physics and biotechnology--a combination that is very rare right now. So there will be jobs moving forward, but they will require exceptional skills. The challenge for us is "are we up for it?" There are two types of plasmas: thermal and cold. Thermal plasmas are naturally occurring. For instance, the sun or lightning generates a plasma, since they develop temperatures in excess of 4000 degrees kelvin. All of the particles will gain energy and are in thermal equilibrium. In contrast, cold plasmas are artificially created and exist in items like fluorescent light bulbs and plasma TVs. In a cold plasma, the gas is at ambient or near-ambient temperature, but under reduced pressure. The plasma gains energy from electric and/or magnetic fields instead of heat. In this scenario, only the charged particles gain energy, not the neutral atoms. In a cold plasma, the particles are not in thermal equilibrium. This type of plasma can be self-sustaining and emit visible light. A cold plasma has a weak degree of ionization. The most common configuration is the glow discharge tube, and it is used extensively used in wafer fabrication tools. The DC Diode glow discharge plasma is the most common technique for generating a plasma. The reactor design is straightforward. Engineers place the system under vacuum and then introduce a low-pressure gas, like argon. The system contains two electrodes, a cathode and an anode, separated by some distance d and some voltage V. For example, one might design a tube with an electrode separation distance of 15cm and a voltage of 1500V. This produces a 100 V/cm field within the tube. If the field is high enough, the gas will ionize and create the following regions of behavior. Closest to the cathode is the Aston Dark Space, followed by the cathode glow, the cathode dark space and the negative glow region. Beyond that lies the Faraday space, the positive column, the anode glow region and the anode dark space, like we show in Figure 1. Figure 1, DC Diode Glow-Discharge Plasma Reactor. Now that we understand the basic configuration of a glow discharge system, how does the plasma initiate? Figure 2 helps to illustrate this process. In its initial state immediately at the start, there is no current flow since all of the atoms are uncharged. The field between the electrodes is also uniform at this point. A free electron, from an outside source like a cosmic ray, then enters the tube. This electron is accelerated by the electric field and collides with a gas atom. If we’re using argon at a pressure of 1 Torr, the electron will travel, on the average, one-tenth of a millimeter before impacting a gas atom. Elastic collisions occur quite often, but they don’t create or sustain the plasma. There is almost no energy transfer since the electron is so much lighter than the atom. The inelastic collisions are less common, but they’re more useful. With inelastic collisions there is energy transferred to the atom under certain conditions. The minimum travel distance for these reactions is approximately ten times the typical mean-free path. If the energy is less than the ionization potential, then the atom is excited, producing a photon, which contributes to the glow discharge. For argon, the ionization potential is 15.7 eV. If the energy is greater than the ionization potential, then the incoming electron will strip an electron from the outer shell of the argon, creating an ion and another free electron. One can also create ions and radicals by the dissociation of gas molecules. For instance, molecular oxygen can be broken apart into elemental oxygen. The concentration of radicals is typically much greater than the concentration of ions. Furthermore, energized electrons require less energy to break apart molecular bonds as opposed to electron-shell bonds to the nucleus. Figure 2, Process associated with energy transfer and ionization of Ar in a plasma system. Once the gas molecule is excited, it can release energy. This energy can be in the form of an energetic photon or light. In fact, if you can view the chamber during its operation you can see a blue glow if oxygen is present, or a violet glow if freon is present. Other gases lead to other shades of colors. After a molecule is excited or ionized by the incoming electron, the electric field then accelerates the electron again towards the anode, where the reaction occurs again. A cascading of free electrons will cause the gas to break down, and current between the anode and cathode to increase. This reaction is sustained by the secondary electrons, which are emitted from the cathode when the positive ions reach it. The cathode material must be conductive for this to work.